Wiki Loves Monuments — just like all projects of the Wikimedia Foundation — is almost entirely run by volunteers. Its success has been achieved thanks to the involvement of hundreds of participants interested in preserving cultural heritage of their countries and building the biggest free media repository in the world. The success of Wiki Loves Monuments 2011 and high expectations and worldwide interest for the 2012 edition require an even deeper involvement in its preparations. 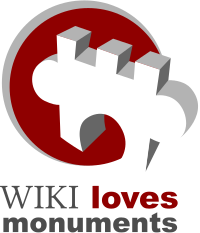 Starting December 1, 2011, a small team of volunteers involved in 2010 and 2011 agreed to take the lead of the global Wiki Loves Monuments 2012. This page is intended to be an overview of their involvement in the previous years as well as of their responsibilities for the 2012 edition; for each person, there will be also information on how to reach them, but for more general matters, please consider consulting the international mailing list or the FAQ. Barbara Fischer joins the Wiki Loves Monuments 2012 team as the Wikimedia Deutschland's curator for cultural partnerships (German: Kuratorin für Kulturpartnerschaften), and brings over 20 years of professional experience as a networker, managing director and project leader in cultural heritage sector and PR, including the WLM-related Tag des offenen Denkmals (Open Door Days) in Berlin, Germany. In 2012, Barbara will help Wiki Loves Monuments with its project management, and will be responsible for the seemingly invisible parts of the preparations, including task and progress management, keeping the team up-to-date with the timeline, supervising the international budget of the contest, facilitating the work of the international jury, and more. You can contact her on her talk page or via e-mail at barbara.fischer wikimedia.de. Lodewijk "Effeietsanders" Gelauff has been an active member of the Wikimedia community since 2005; over the years, he helped out as a steward and an administrator of several wikis as well as a board member of Wikimedia Nederland, member of the Chapters Committee and organiser of various internal Wikimedia activities. In 2010, he led Wiki Loves Monuments in the Netherlands together with Maarten, and was mainly responsible for the community-related part of the contest as well as for documentation, and internal and external communication. In 2012, Lodewijk will be responsible for communication as well as for coordinating the works of the participating countries and facilitating the preparations for the contest in general. When in doubt about communications or community-related aspects of the preparations, you might want to contact Lodewijk; he will surely answer your questions or direct you to the right person. You can reach him on his talk page, via e-mail at lodewijk wmnederland.nl or on the IRC channel #wikilovesmonuments on Freenode (available as effeietsanders or eia). Elke "Elya" Wetzig has been a regular contributor to the German Wikipedia since 2003; she has since served as an administrator of that projects as well as an administrator on Wikimedia Commons. An avid photographer and member of Wikimedia Deutschland, Elke joined in the organisation of Wiki Loves Monuments 2011 in Germany, organising a local Wiki Takes event in her hometown of Cologne and designing the external German website of the contest. In 2012, Elke will be responsible for designing and maintaining the external international website; she will also serve as a technical contact with the Wikimedia Foundation on UploadWizard and the mobile application, and will help out with several other tasks. If you have a question about the external website, the interface of our tools or the UploadWizard, please approach Elke and she will gladly help with your issues. You can contact her on her talk page or via e-mail at elya koeln.de. Maarten "Multichill" Dammers rose to Wikimedia fame for his extraordinary work on batch uploading, especially with regards to Wikimedia Commons' partnerships, as well as for his work on moving images from various wikis and operating several bots in other areas of the project. Together with Lodewijk, he led the successful 2010 Wiki Loves Monuments pilot in the Netherlands, being responsible for contacting outside partners, and for the technical part of the competition; he is the inventor and the maintainer of the monuments database and creator of several of our tools. In 2012, Maarten will be responsible for contacting our European and worldwide partners as well as for keeping the monuments' database up-to-date; he will be also helping out with the tools and other technical aspects of the competition. If you have a question related to the technical part of Wiki Loves Monuments 2012 (tools, database, OTRS, etc.) — Maarten seems the right choice. You can reach him on his talk page, via e-mail at maarten wmnederland.nl or on the IRC channel #wikilovesmonuments on Freenode (as multichill). Tomasz "odder" Kozłowski joined the Wikimedia family in late 2005, and has since served as an administrator of several wikis, an OTRS agent, and a regular contributor to the Polish Wikipedia. An active member of Wikimedia Polska, he organised Wiki Loves Monuments 2011 in Poland, and helped with setting up various interface-related pages and documentation for the international initiative on Wikimedia Commons as well as with several other aspects of the preparations. In 2012, Tomasz will be responsible for creating and keeping up-to-date the documentation of the contest, maintaining the CentralNotice campaign as well as for communication-related tasks; located in Eastern Europe, Tomasz will be also helping out with preparations in the countries close to his native Poland. If you have a question related to the contents of the Commons portal or communications, Tomasz will be happy to assist you. You can contact him on his talk page, via e-mail at odder.wiki gmail.com or on the IRC channel #wikilovesmonuments on Freenode (as odder). This page was last edited on 31 December 2014, at 04:17.